Former Sonoma State University baseball student-athlete Matt Hammonds has become the 45th player in the history of the SSU program to be selected in the Major League Baseball First-Year Player Draft. Hammonds, who spent four years at SSU and graduated last month was selected by the Baltimore Orioles on June 14 in 29th round. He becomes the first SSU student-athlete drafted in 2017. A left-handed pitcher from Anaheim Hills, Hammonds earned All-CCAA honors this year after going 4-2 with a 2.98 ERA. In a career that included 39 appearances, 30 of them starts, Hammonds was 10-5 with a 3.44 ERA and 111 strikeouts to just 43 walks. 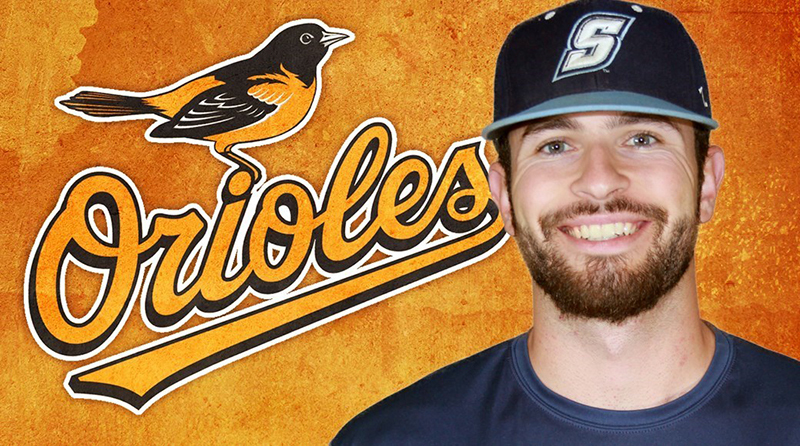 Hammonds is the first SSU player to be drafted or signed by Baltimore in the history of the Sonoma State program. A complete list of Sonoma State student-athletes that have been signed or drafted by MLB teams over the years is available here. Sonoma State University sports update May 11-17. Pitcher Scott Alexander makes it to the big league club; accolades continue to pile up for baseball, tennis.